The Nimbus Trace Access 60 is a bit of a workhorse. Built with a unique and rugged laminated maple frame sheet frame, the Access 60 supports loads up to a quad busting 60 lbs. Great for longer trips or where more gear is required (winter trekking), this pack is designed to get it done in comfort and style. Let’s see how it holds up when put to the test. The pack is build around the maple-core frame sheet, which is a laminate of maple and composite materials. 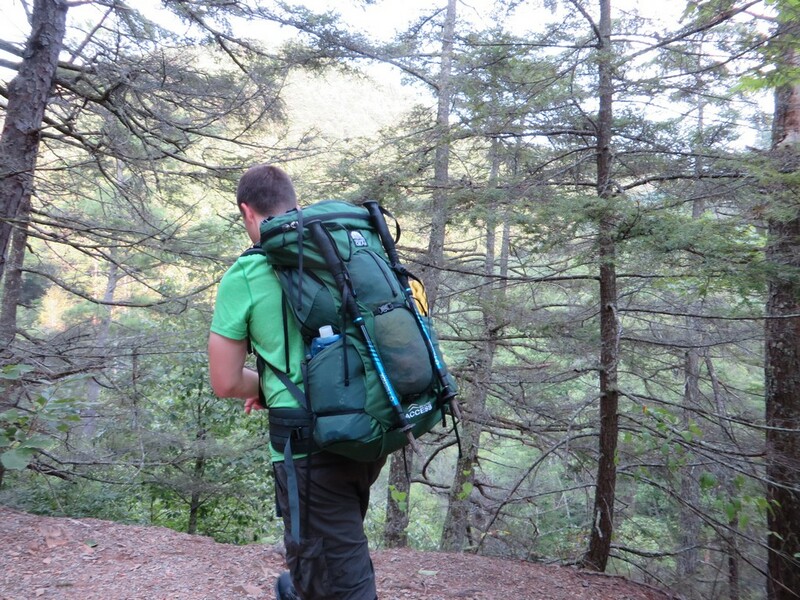 This allows the pack to drop the weight directly into the hips, taking the strain off the shoulders of the backpacker. The frame itself is padded with a series of angled bands of dual density cushioning, with gaps to provide ventilation. The hip belt and straps are both generously padded with the same material, providing comfort and grip to these high strain areas. The pack is made from a high quality Cordura Nylon, which presents a very high tear strength and impressive abrasion resistance. Included is a large lid for storing quick access items, and a long vertical mesh sleeve down the back of the pack for holding rain gear, pack covers, or jackets. Two side pockets are great for water bottles ans snacks, and additional pockets can be attached to the hip-belt or chest strap (sold separately). Generous compression straps and a roll top enclosure provides stability, compression points, and water resistance. 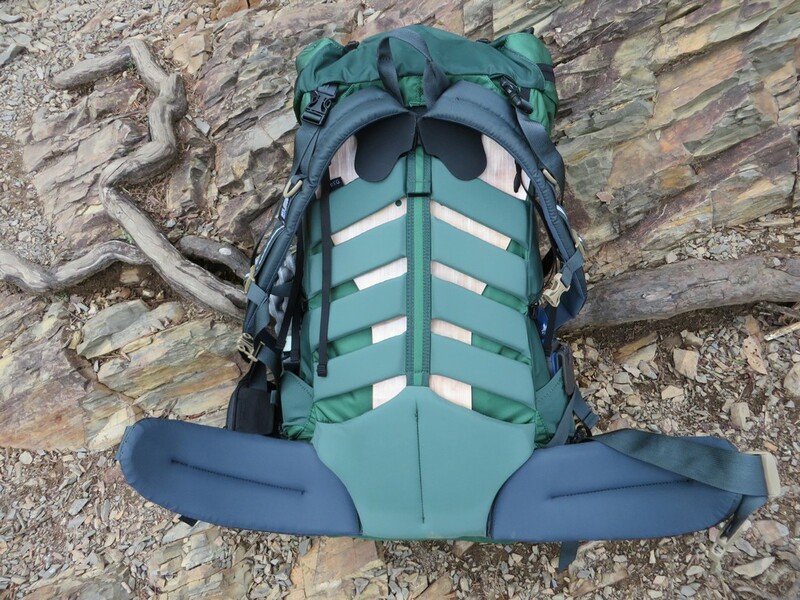 The pack holds 60 liters of gear, retails for $329, and comes in various torso lengths and colors. The regular length weighs in at 4 lb 3 oz. The maple-core frame sheet is both rugged, and comfortable. It does a great job of getting the weight off the shoulders and putting it right where it’s wanted, on the hips. This eliminates sore shoulder muscles and aching necks. The frame is molded to fit the natural shape of the back, providing built-in ergonomics for the spine and also improving stability as it doesn’t shift around while hiking. The padding along the frame is luxuriously soft and thick, and feels great against the spine without overheating when the miles get tough. The frame is stiff enough to not buckle or bend under large amounts of weight and holds its shape unconditionally, while still providing just a bit of a flex in the hips. 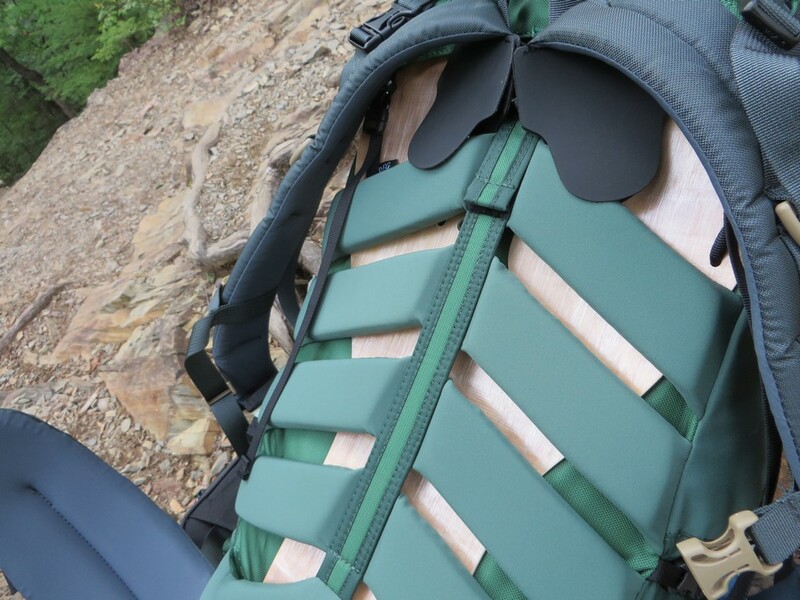 The generous padding (hip back and shoulder straps) minimizes friction and pressure points right where you need it. Miles of trail even with heavy winter gear have yet to cause any soreness or discomfort. That’s an achievement. Too many packs skimp on the frame, the most essential part of the pack, but not here. Organization is pretty solid. The removable lid provides a large interior that easily holds headlamps, camp towels, fire starters, bug spray, phones, and much more. The large vertical mesh pocket on the back held my rain gear, rain cover, and even a light weight wind jacket. The two smaller, but still large, pockets on the side are capable of handling two 1 liter Platypus bottles, bear spray, a camp seat, and a few other goodies with room to spare. The large internal pocket is spacious, holding 4 season tents and winter bags easily, while being easy accessed via two large, hidden zippers that run the length of the back of the pack. This allowed me to grab whatever I need from the bottom of the pack without tearing everything out, because whatever I need is always on the bottom. 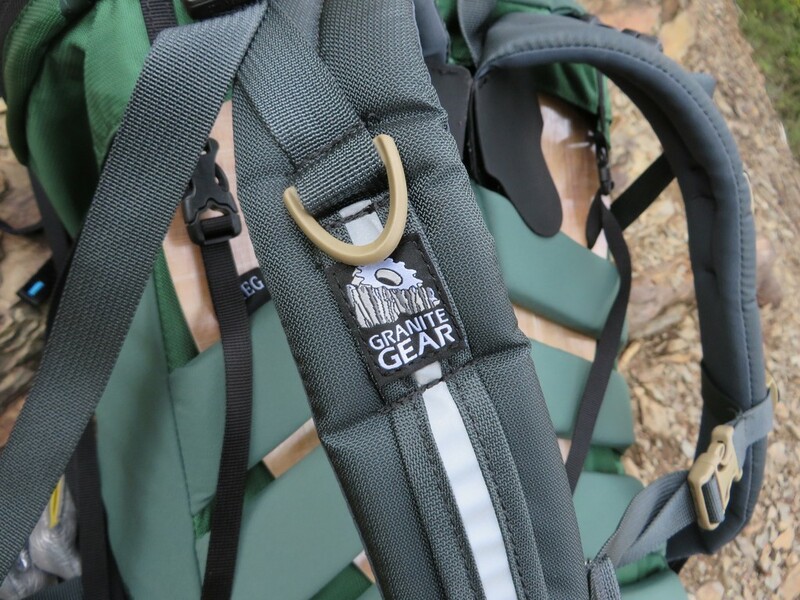 Straps on the lid and trekking pole loops provide external packing options as well. The plethora of lashing straps provides ample opportunity to cinch down the pack in every compartment. This creates a pack that compresses down into a solid structure, minimizing momentum stripping sway, which reduces fatigue and improves stability agility on the trail. The pack can shave a lot of weight by simply removing the lid (roughly 9 oz. ), and generous lashing straps can also be cut back, shaving some of gravity’s hatred as well. While having lots of straps is great for stability, many of the straps are just way longer than needed. Pushing through on gusty peaks has resulted in getting slapped in the face with the angry nylon tentacles a few times. Surprisingly painful, especially when paired with an unsuspecting eyeball. I was able to tuck the straps away eliminating the problem, but I think cutting the straps back is a better solution (bonus weight shavings). Accessories also exist that keep these down. The main culprits where the load adjuster straps and the accessory straps on the lid. The frame is adjustable, but if you have a very long torso, adjusting the back out entirely results in some weight being dumped on your shoulders, as the frame itself doesn’t extend up past the shoulders high enough. What happens is when extending the shoulder straps up higher, the load straps anchor point ends up below the shoulder strap, resulting in the load straps pulling down across the shoulders instead of being anchored above This is only a problem with a very long torso (a very small population). It’s still comfortable, just less so. A taller frame would correct this. It’s a little on the heavy side, but this is to be expected with a pack that supports this much weight. The support it provides is a solid trade-off as it actually makes the pack feel lighter on your spine than a frail UL pack would. This Nimbus Trace Access is a stellar pack. The unique frame offers some flex, but still holds its shape when a heavy load is packed into it. Combine this with the luscious padding across the back, hips and shoulders, and you have a supremely comfortable pack that provides excellent support for those long miles with heavy cargo. 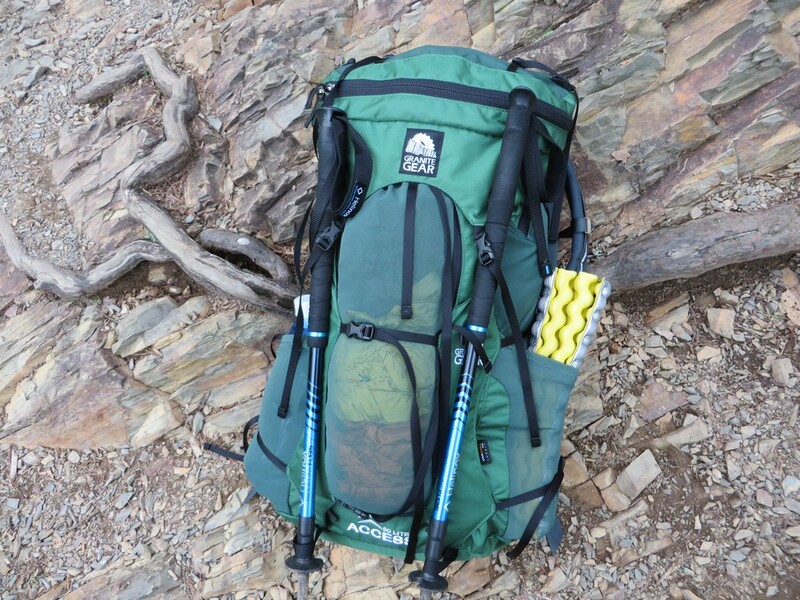 Ample organization and quick access to every nook of the pack makes for simplicity and efficiency in use, without losing gear or having to dig for it. The roll top enclosure is simple to use, and provides better rain protection than most, and the removable lid allows users to cut weight when it’s not needed. The build quality is excellent, providing true ruggedness that resists tears and scuffs. Taller users should check the torso out before buying, and watch the straps on windy days. Otherwise, the Nimbus trace is exceptional in nearly every way. For information on Granite Gear and the Nimbus Trace Access 60, check their website out. For information on our review process and our rating systems, check out our About us page. If you have any questions or comments, send them below, find us on Facebook or Twitter (links on the right) or send us an email directly via the Contact us Page. Big thanks to Granite Gear for providing us this excellent pack for review. We greatly appreciate your support.